Flexibility is a software as a service application for ensuring regulatory compliance for healthcare workers. At every level, people working in the healthcare industry must comply with local, state, and federal regulations. Managing these compliance regulations for employees is a major burden on businesses in the industry, and their HR departments. I interviewed subject matter experts and conducted competitive analysis of products and service offerings in the industry. After creating a clear picture of pain points and user problems, I created user personas and workflows for various types of interactions. These workflows became the basis of early stage wireframes I created to get buy-in from the client. I worked on this project with Series Digital. 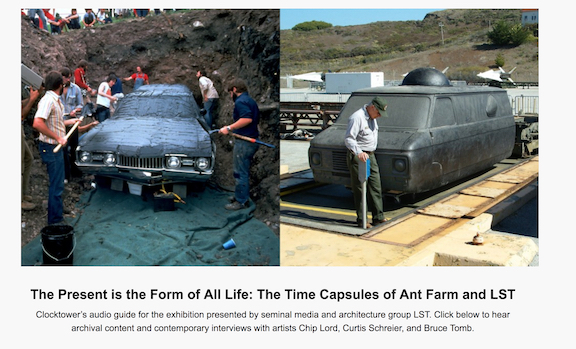 The exhibition The Present is the Form of All Life: The Time Capsules of Ant Farm and LST, was about time and archives – covering a 48 year span of artist collaboration. We wanted to present the audience with some of the stories we’d uncovered during archival research or heard from the artists themselves. We also wanted to capture those stories so the exhibition itself would become part of the artists’ archive. I conducted interviews with each of the artists in the collaborative team, and then selected archival audio from prior documentaries to supplement our conversations. Each interview was associated with a particular piece in the exhibition, and a user could identify the piece by associating it with a related image in the audio guide interface. There’s a longer reflection that I wrote about this project on Medium. I worked on this project with Pioneer Works and Clocktower Radio.